Community Christian School has a history of providing high quality educational services in the Fort Dodge area since 1978. Families representing over 25 churches have selected CCS as their school of choice, based on its commitment to a philosophy of Christian education and academic excellence, small class size, commitment to building Christian character, ministry-minded staff that truly care about each individual student, the safe environment provided, and opportunity for parental involvement. Community Christian School (CCS) was founded on January 18, 1978, through a vote taken by the members of the First Evangelical Free Church (FEFC) of Fort Dodge. Classes began in the fall of 1978. A high school was added in 1980 and operational until 1991. The intent was to “parent and guide a Christian school” that would be nondenominational in its focus and teachings yet would stress those central truths of the Bible that unite Christians. Classes met for the first time in the fall of 1978. The school remained housed in the basement of FEFC until the spring of 2013 when the school relocated to 2406 9-1/2 Avenue South, Fort Dodge, IA. At that time, the school also became an independent, non-denominational school no longer governed by the FEFC. In January of 2018, the school added a daycare center to CCS serving infants to school age children. CCS is currently accredited by the State of Iowa and is pursuing accreditation with Christian Schools International (CSI). Serving God by providing families an academically-excellent, Biblically-integrated education, which encourages spiritual development and social responsibility in an environment where students can develop their God-given gifts and talents. 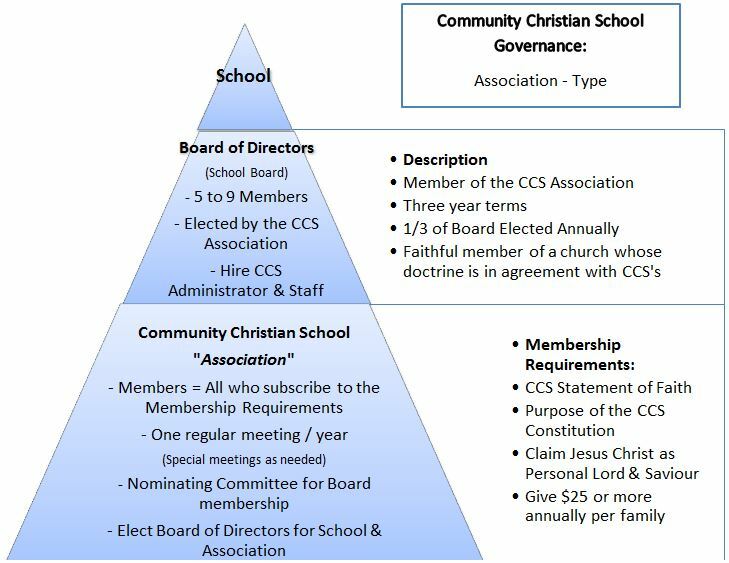 Community Christian School is governed by a School Association who ensures the integrity of the school operation is maintained.